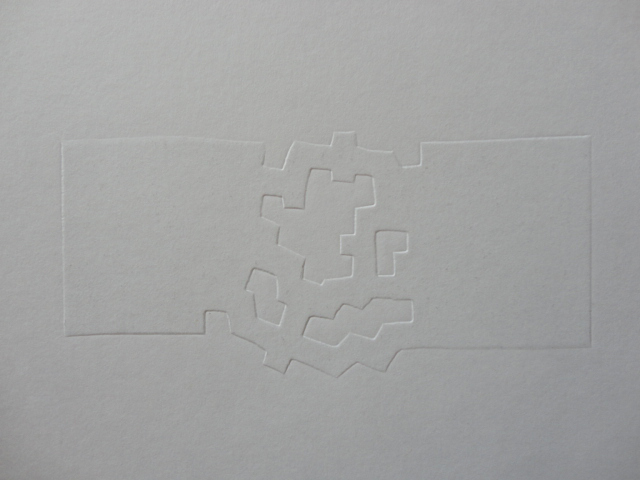 Edouardo Chillida, embossed print verso, 38 x 28 cm (sheet). DLM no. 242 published in 1980 on the occasion of the artist’s exhibition of 78 stone sculptures and 4 porcelain pieces at the Maeght Foundation.